Not a city nor a state, but rather the attraction. 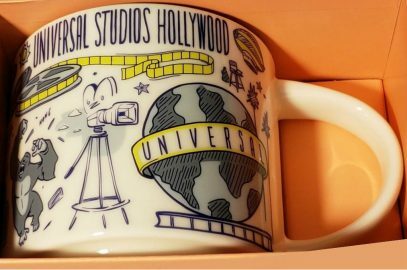 Been There – Universal Studios Hollywood mug gets orange box, similar to PPM, released earlier this year. It’s exceeded my expectations in terms of release date and I like the design. What do you guys think? Will this mug be sold outside the park? I bought the other Universal mug at Sarbucks on City walk. At the Starbucks around Orlando, it’s just the Florida mugs. The universal mug is a great souvenir.